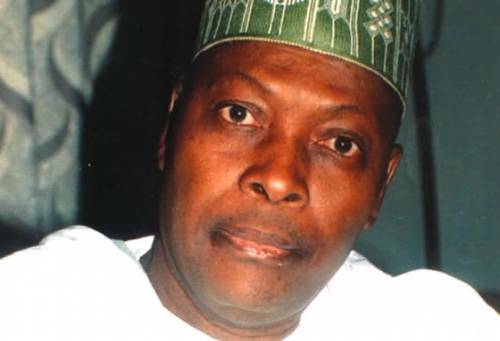 Junaid Mohammed, a lawmaker during Nigeria's Second Republic, says former Vice-President Atiku Abubakar has masterminded election rigging since 1999, and as such has "no moral basis to complain of being rigged out". He also accused Atiku, presidential candidate of the Peoples Democratic Party (PDP), of overheating the polity by his decision to challenge the result of the February 23 presidential election that saw President Muhammadu Buhari secure a second term in office. Speaking in an interview published on Saturday by The Sun newspaper , Mohammed also praised the improvement in the electoral process as people can now vote in their respective areas of residence. Responding to a question on what he thinks of Atiku's move to challenge the result, he said: "I don’t know whether Atiku means to overheat the polity, but the fact remains whether he means it or not, the net result of what he is doing is to overheat the polity, and that is unfortunate. "Any patriotic Nigerian will know that when the polity is overheated the way it is being done now, at the end of the day there will be violence; there will be massive movement of people from where they are legitimately working and earning their living to their hometowns. "After decades of independence, we ought to be beyond this kind of ramshackle government, where if you ignite a match, people will start scrambling to go back to their homes. "People used to go to their homes to vote during elections, but this time it was a big progress as people stayed where they live to vote. "I’m about 70, and when I was growing up, election was like a mad house or a psychiatric home. Once election was approaching everybody was going to railway station to but ticket to travel to their homes, but this time around, people stayed behind to vote. This is a big progress and I hope it will continue. Why will I leave Kano to Port Harcourt to vote? It doesn’t make sense. "The main issue behind Atiku’s complaint is that he knew that he lost the election; whatever he says or whatever the people who work for him say. The statement he issues or by Secondus and other people who work with him is that they are now accusing and abusing not just those who are in APC (I’m not in APC and I will never be in APC), but also others who have nothing to do with the election. That to me shows that they are very primitive and immature politicians. You don’t have to abuse me if you want me to vote for you. "Sadly, Atiku has been the mastermind of the rigging of elections in this country from 1999, when he and Obasanjo were with the ticket. If you did that kind of thing, you will not be surprised even if you want to believe what you want to believe; you cannot be surprised if people have mastered what you taught them. Many of the APC members decamped from the PDP. We grew up with some of them, we worked with some of them; we married into their families and they married into our families, so it is not something new. We all know the riggers; Atiku is the principal rigger, so, he has no moral basis to complain of being rigged out. "He even went beyond the moral norm by hacking into the servers of INEC, and publishing documents, but to mark him up, INEC went and put the real figures for everybody to see. This is very unfortunate for those who claim to be statesmen. You have to know that the most important thing for you and your party is the survival of the country, because the connection I have with Atiku is that he is a Nigerian and I’m a Nigerian. If there is no Nigeria, where would he go; which president will he be? "I believe he has the constitutional right to go to court, but the way and manner he is doing it is destructive and he is lying through his teeth; the same thing with Secondus and some of the hired hands, hacks who write statements for them. Some of the people who issue the statements don’t even know Nigeria. "You stay in your village, and after school you come to Lagos and then to Abuja, and you start abusing people left, right and centre. These are the kind of people who are causing a lot of problems; there must be peace before you have governance."